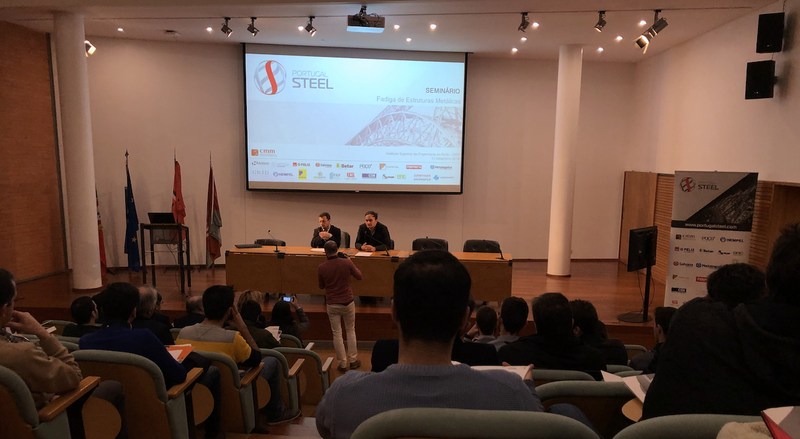 The seminar on metal structure fatigue attended by EUROMETAL took place at the Engineering Institute of Porto (ISEP) and was attended by over 100 participants from industry as well as engineering students. After the introduction of Portugal Steel by the Eng. Luis Figueiredo Silva, director of CMM, the Eng. Claudio Baptista from CRID informed about the innovation in design of metal links from a fatigue behavior perspective. FELIZ Metalomecânica, a company specialized in steel construction, sheet profiling, cutting and bending of sheets, construction of lighting columns and communication towers, metalworking in stainless steel and laser cutting with Construsoft, a provider & developer of software for customers in construction, infrastructure and energy industries based in the Netherlands explained the automation in the manufacture and execution of metal links. The professor Abílio de Jesus (FEUP), addressed the fatigue tests and the characterization of materials to structural components. The event was concluded with two examples of fatigue in wind towers by Eng. Fernando Marques (VESTAS) and offshore underwater structures fatigue in GALP gas exploration platforms by Eng. Pedro Teixeira.